The Campaign for Healthier Solutions and our partners have released a new report in which nearly 200 food cans were tested for the toxic chemical Bisphenol A (BPA), and we found that two out of three cans tested have the chemical in their lining. 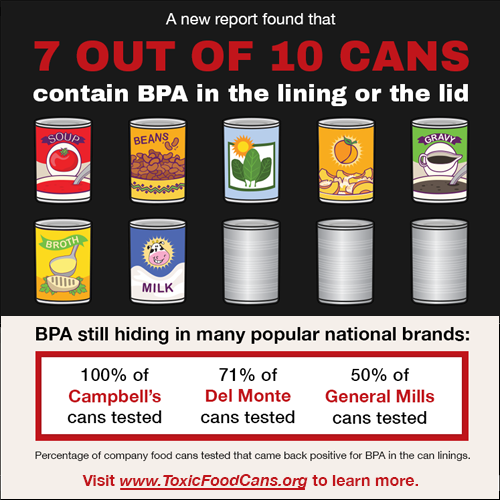 Nearly 75% of all cans purchased from discount retailers Dollar Tree, Dollar General, 99 Cents Only and Family Dollar were found to contain BPA in their can lining. BPA is an endocrine-disrupting chemicals that negatively impacts our hormonal systems. 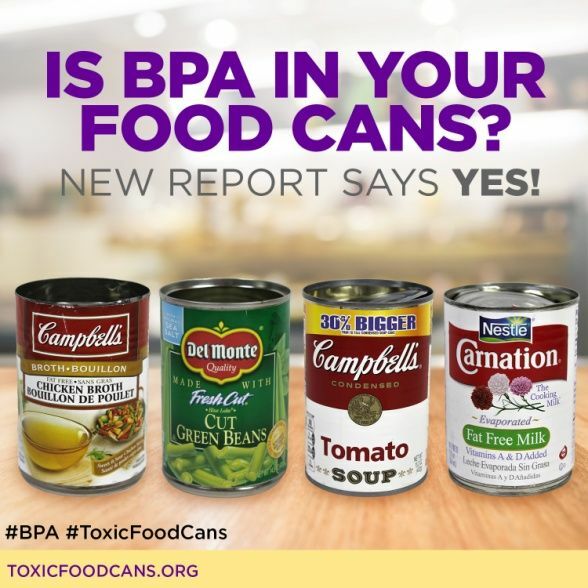 Evidence suggests that BPA may contribute to many harmful health effects, including breast and prostate cancer, infertility, type-2 diabetes, obesity, asthma and attention deficit disorder. 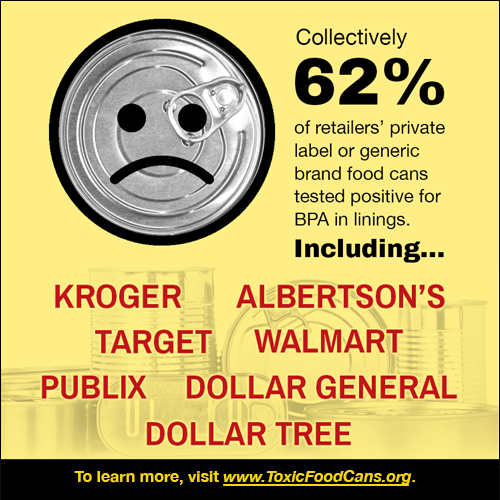 Take Action: Tell the dollar stores to get BPA out of their food cans, and toxic chemicals out of their products! Read the Campaign for Healthier Solutions Press Release. Read the joint Press Release in English or Spanish. Read the Report Executive Summary in English or Spanish. Or, write your own message! Please donate to the Campaign for Healthier Solutions and help us continue our work to hold dollar stores accountable for their products!